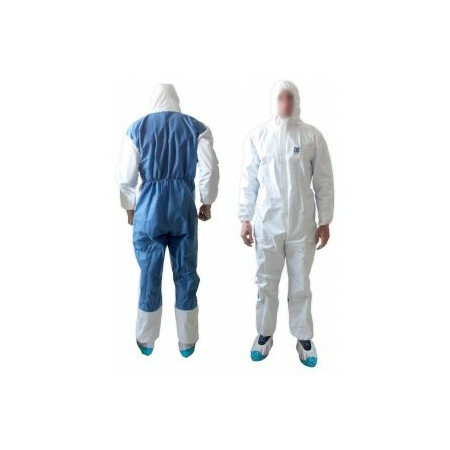 Disposable body protection - Extertronic, S.L. All kinds of disposable protective equipment for body, head, feet and hands. Disposable body protection There are 20 products. 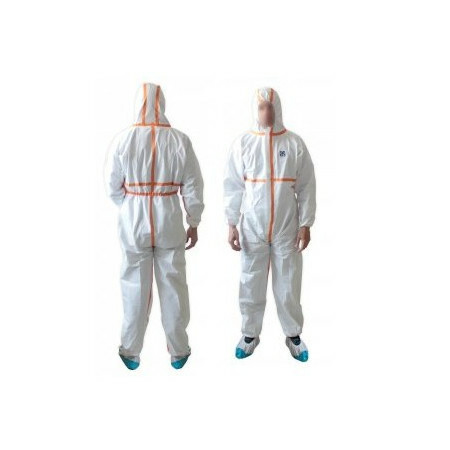 - Material: Microporous film of 65grs.- Weight: 221 gr.- Size: XXL-Height 188 to 194cm Chest 116 to 124cm.- White color- 3 piece hood.- One-way cremellera with solopa and tape.- Elastic adjustment.- Reinforced V-shaped stitching.- Packaging: Box 10 und. - Material: Microporous film of 65grs.- Weight: 221 gr.- Size: XL-Height 182 to 188cm Chest 108 to 116cm.- White color- 3 piece hood.- One-way cremellera with solopa and tape.- Elastic adjustment.- Reinforced V-shaped stitching.- Packaging: Box 10 und. 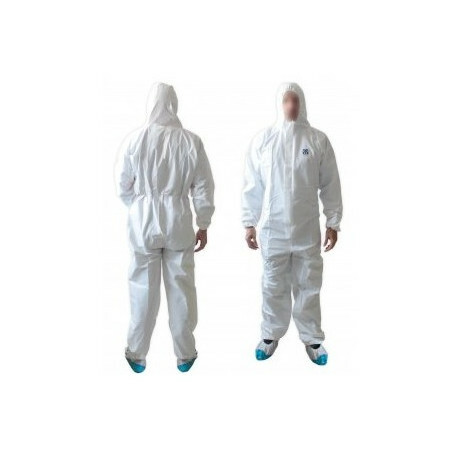 - Material: Microporous film of 65grs.- Weight: 221 gr.- Size: XXXL-Height 194 to 200cm Chest 124 to 132cm.- White color- 3 piece hood.- One-way cremellera with solopa and tape.- Elastic adjustment.- Reinforced V-shaped stitching.- Packaging: Box 10 und. 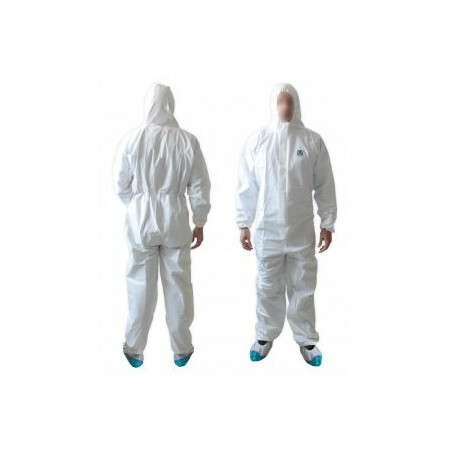 - Material: Microporous film of 65grs.- Weight: 221 gr.- Size: M-Height 176 to 182cm Chest 100 to 108cm.- White color- 3 piece hood.- One-way cremellera with solopa and tape.- Elastic adjustment.- Reinforced V-shaped stitching.- Packaging: Box 10 und. - Material: Microporous film of 65grs.- Weight: 221 gr.- Size: M-Height 170 to 176cm Chest 92 to 100cm.- White color- 3 piece hood.- One-way cremellera with solopa and tape.- Elastic adjustment.- Reinforced V-shaped stitching.- Packaging: Box 10 und. - Material: MP 65gr + SMS 55gr.palda.- Weight: 208 gr.- Size: XL Height 182 to 188cm. Chest 108 to 116cm.- White/ Blue color- 3-piece hood, breathable back.- Two-way cremellera with double solopa and protective tape.- Elastic adjustment.- Reinforced V-shaped stitching.- Packaging: Box 10 und. - Material: MP 65gr + SMS 55gr.palda.- Weight: 208 gr.- Size: 3XL Height 194 a 200 cm Chest: 124 a 132cm- White/Blue color- 3-piece hood, breathable back.- Two-way cremellera with double solopa and protective tape.- Elastic adjustment.- Reinforced V-shaped stitching.- Packaging: Box 10 und. - Material: MP 65gr + SMS 55gr.back- Weight: 208 gr.- Size: 2XL Height 188 to 194cm Chest 116 to 124cm.- White/ Blue color- 3-piece hood, breathable back.- Two-way cremellera with double solopa and protective tape.- Elastic adjustment.- Reinforced V-shaped stitching.- Packaging: Box 10 und. - Material: MP 65gr + SMS 55gr.palda.- Weight: 208 gr.- Size: L -Height 176 to 182cm Chest 100 to 108cm.- White color- 3-piece hood, breathable back.- Two-way cremellera with double solopa and protective tape.- Elastic adjustment.- Reinforced V-shaped stitching.- Packaging: Box 10 und. - Material: MP 65gr + SMS 55gr.palda.- Weight: 208 gr.- Size: M Height 170 to 176cm Chest 92 to 100cm- White/ Blue color- 3-piece hood, breathable back.- Two-way cremellera with double solopa and protective tape.- Elastic adjustment.- Reinforced V-shaped stitching.- Packaging: Box 10 und.